There are a lot of parties out east this weekend, but few of them help put shoes on grubby little feet. Why not do a little good without actually doing anything (besides, you know, eating, drinking, shopping and socializing)? Blake Mycoskie, the man who has made a name for himself among socialites and needy children alike now has a documentary about the company he founded, TOMS shoes. Saturday, from 5-9 p.m., (a perfect post-beach, pre-party time slot to fill) Solé East hosts outdoors in their serene backyard a screening of "For Tomorrow," in which the blue-eyed former reality star Blake returns heroically to Argentina to unload his signature shoes on hoards of grateful children. At the second “Style Your Sole” event to be held at Solé this summer, attendees can buy a pair of TOMS from the pop-up shop (as always, one pair for you, one for aforementioned needy child) and local artists will be on hand to customize your purchase with paintings of sand dunes and sunsets (so you can be like, I totally bought my TOMS shoes in Montauk). 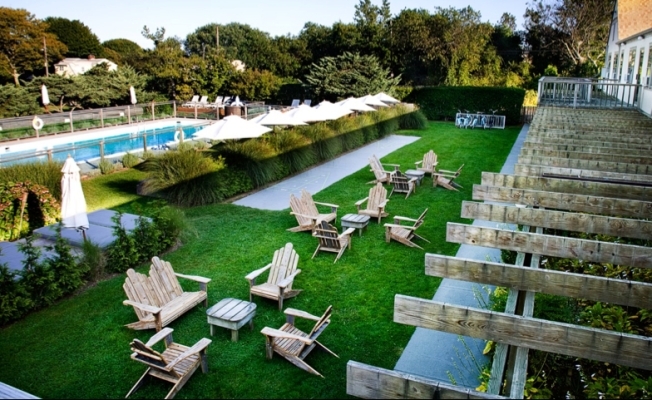 And, since it is Labor Day weekend after all, lounge poolside and enjoy Solé East barbeque and wines from North Fork’s Martha Clara Vineyards and the Brooklyn Oenology winery.